In the years following the adoption of the UN Convention on the Rights of Persons with Disabilities (CRPD), international disability rights advocacy was mostly focused on getting on the human rights agenda. It was about getting into the room, becoming visible in places where persons with disabilities had been invisible, and participating in policy development. These were important targets and there was an important focus on uniting people with disabilities across impairments, but less attention was paid to the multiple identities people with disabilities hold. Today, with the Sustainable Development Goals, leaving no one behind is not only a reference to marginalized communities such as persons with disabilities, but the need for the disability rights community to better include marginalized persons with disabilities. Women with disabilities are a stark example of the marginalization some sub-groups face within the disability community itself. It’s exciting to hear how many governments are talking about the need for inclusion of women with disabilities. And we also need to keep challenging ourselves. How much of the funding reflects this commitment? How are we sharing this work and listening to women with disabilities? 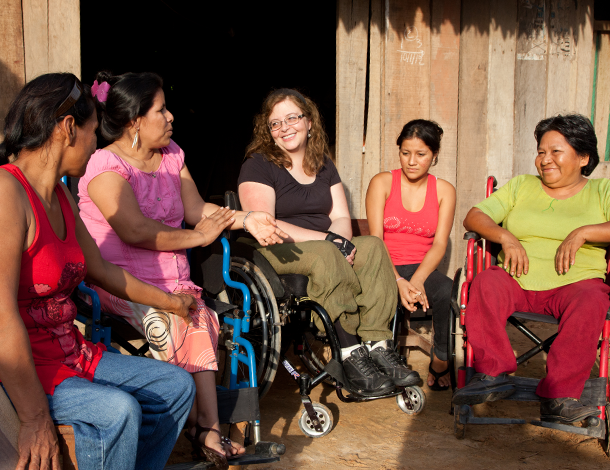 How are we strengthening the movement to include women with disabilities in leadership? How are women’s rights donors contributing to this work? To address this need, several donors created a resource about grantmaking at this intersection, which documents case studies and shares research about funding levels. Through donor interviews and data from the International Human Rights Funders Group and the Foundation Center, the research documents the marginalization of women with disabilities in funding. It’s stark. Only $2 of every $100 in addresses or includes women with disabilities. Money reflects our priorities. We therefore need to align our donor investments with our stated priorities. As a long-term funder of disability rights, I wanted to share three fundamentals I’ve learned in funding this work: 1) the need for a twin track approach; 2) the importance of intentionality and targets, and 3) the value of listening to women with disabilities. We all know this work is not achievable through the meager funding for disabled persons’ organizations. It’s also not possible simply through mainstreaming. While disability donors are fewer in number and dollars, they need to consider how their work reflects a gender lens. And women’s rights donors need to include women with disabilities. I want to give a concrete example of what this looks like in the field. 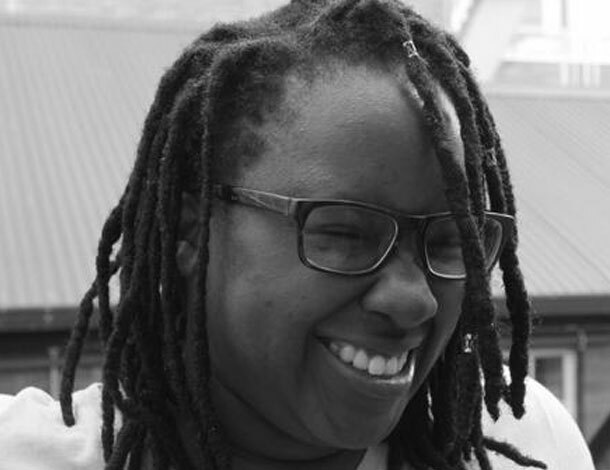 The largest feminist conference in the world, the AWID Conference in Brazil last year, presented an amazing opportunity for women with disabilities. AWID’s board chair, Myrna Cunningham, took the main stage and called for stronger inclusion of women with disabilities. It’s not a coincidence that Myrna had served a “bridge builder” in the early years of the Disability Rights Fund. At AWID, activists were demanding donors pay more attention and waving the flag. Women with disabilities were saying, “We are here. How are you including us?” The Women’s Refugee Commission, CREA and others implored donors and women’s rights coalitions and campaigns to better include women with disabilities. This is not about “allowing” women with disabilities to participate. This is about how women fight patriarchy more effectively. This is about how women’s rights campaigns can be successful. They need women with disabilities. It’s important to say that AWID didn’t just happen. There was intentional funding for women with disabilities to be there, raise their voices and be heard. Yet inclusion of women with disabilities won’t just happen as funding increases to the disability rights field. We talk about leaving no one behind, but often when we make decisions as donors and create grantmaking processes, they don’t include women with disabilities. We don’t always promote women with disabilities as leaders of the organizations that we’re funding. In the course of my own work, I had a principle of including women with disabilities, but it was not formalized in a strategy. We must really challenge ourselves as donors and as actors in the field to set targets and prioritize work advancing the rights of women with disabilities, which is often different than the work led by mainstream disability rights communities. We also need to create indicators holding ourselves accountable to funding women with disabilities. What matters gets counted. Lastly, I want to talk about learning and experimentation. Women with disabilities have been working on the ground for decades. They know what they need. They know effective strategies. They haven’t had access to resources, money, or leadership opportunities and opportunities to develop their organizations and partner with women’s rights organizations. Informed by theses voices, we’ve created a brief for donors who want to begin supporting the rights of women with disabilities. Funding this work requires taking some risks, fostering learning on the ground, but most importantly listening to women with disabilities themselves about what they need and how they want to grow the movement. They have the most accurate assessments about what solutions can work. And they’re informed about the advocacy strategies that can really move this work forward.